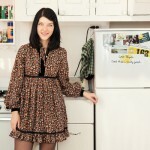 Kallie Feigenbaum is a NY-based fashion blogger who likes her hunts for vintage treasures and her bike rides. 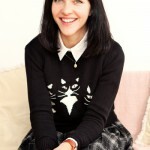 The interesting thing about her vintage style is that she doesn’t hunt mindlessly for all things vintage – she finds something truly unique and has a skill to match her finds. Let’s explore the NY style of Kallie Feigenbaum. It is not easy living in New York and it doesn’t become easier with age. Kallie Feigenbaum is a charming blogger of 25, with interesting ambitions and an undeniable sense of style, who is also working for CNN. Her passion for vintage style doesn’t stop in fashion but continues to her hunt for furnishing items for her tiny apartment in Queens. 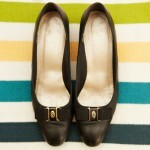 …super comfy vintage Selby pumps that I wear just about everyday to work. I work for CNN and have to dress professionally, but these shoes are a nice compromise between the grown-up look and my love for vintage. Isn’t it lovely? Well, apart from that she is a collector. She has years of entries in her personal diary/blog. Getting inspired by people Kallie encounters daily she nevertheless has her own distinct style. 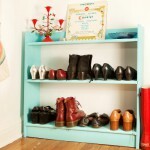 She likes to take pictures that she discusses in her blog, or sometimes just throws them into her blog for inspiration. Kallie is also a fan of accessories. That doesn’t mean that she has lots of accessories, it’s just that she knows how to highlight an outfit with a certain scarf or even a little Victorian pendant. 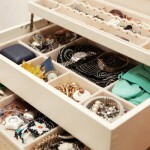 Of course she has a vintage jewelry box where she likes to keep her treasures. 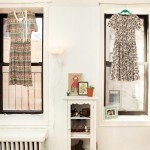 So, do you like the vintage NY style from Kallie Feigenbaum?